Even in my quietest, most reflective moments, I cannot escape the movies. My recent trip to Eagle River, Alaska was meant as a tonic to my senses, a restorative designed to prompt deeper memories that would aid me both psychologically and in my writing. 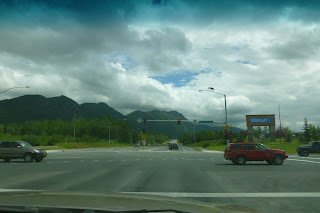 Such a visit to my secondary hometown (born on Elmendorf Air Force Base in Anchorage, but grew up in my prime childhood years in Eagle River) was supposed to allow me to reflect on a period of my life long past. Lunch with a childhood chum was the first order of business, then a stop by his parents' home in my old stomping grounds, and ultimately, a short visit to the then-beloved house we lived in next door prior to my parents' divorce (to which my brothers and I, to this day, always refer as "the green house").